Do you remember the old computing days when there were no sounds except for maybe a beep occasionally and printers making more noise than a cat on a scratching post or how about monitors that offered nothing more than a green or orange glow? Well, I do! Thank goodness those days are nothing more than history and now we can enjoy the glow of our high resolution monitors that offers us life-like images on a daily basis. We no longer have to squint at some fuzzy displays but can enjoy almost picture perfect animation on the majority of websites. Now, these images are nothing more than a mass of barely visible dots, known as pixels, and monitors today can display more than a million pixels but it's up to the computer to interpret how to allocate these pixels in order to create an actual image. 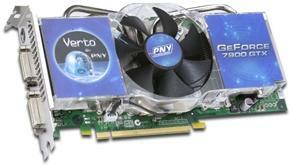 This interpretation process happens on the graphics card and these cards can be upgraded. In fact, many users are tempted to look for the latest and greatest (or should I say expensive) card out there, but there is a better way for choosing just the right graphics card for the job? Here are a few helpful solutions that will help you to determine which the best graphics card for your computer is. First, before you go out and buy the latest graphic card because you think you need it consider what you will be doing with your computer. If you don't expect to do much more than some internet surfing, some word processing, maybe using your email or doing some chat room or forum activities. Then you most likely won't need any additional graphics support than what will most likely be found on the motherboard with integrated graphic capabilities. But, if you do plan to work with graphic arts or plan to play a lot of games on your computer you will definitely need to get a graphics card that has a lot of memory as well as a high-speed processor. A tool you may wish to use is the frame rate measurement which is often a major advertising component for the different graphic cards that are available. Basically this rate refers to the measurement of frames per second or FPS which is nothing more than the rate of complete images a graphic card will display in one second. Now, High end cards will display more than 60 FPS (which by the way is more than twice the amount the human eye can process per second) and therefore provides the illusion of animation and animated scrolling.